In need of some woodwork? Chances are you’ll want to hire a Petoskey, MI carpenter. Carpenters work with all types of wood and can specialize in many different areas, including framing, finishing and custom-made furniture. Make sure you choose the right Petoskey carpenter for your job by asking plenty of questions, viewing their past work and reading reviews. Boards by the Bay was established in 2016 in Harbor Springs, Michigan. Bringing you artisanal furnishings made with local wood milled personally. Welcome to Terroir Wood Studio (TWS). 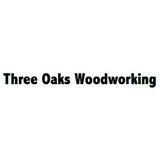 TWS is a custom woodworking business specializing in custom interiors, cabinets and heirloom furniture. Terroir is a borrowed French term loosely translated as "A Sense Of Place." It is used to denote wine, coffee and tea, lending credit to the special characteristics that the geography, geology and climate of a certain place bestow upon particular varieties. Terroir is based on the sum of the effects that the local environment has on the end product.